Giving advice in English might seem tricky at first. There are several ways to do it and each uses a slightly sentence structure. So, how do we choose which one to use? Find out with these five simple ways to give advice in English. There are two modal verbs we often use for giving advice: ‘should’ and ‘ought to’. Both mean the same thing but work in slightly different ways. Let’s look at some examples. You shouldn’t drink so much beer. As you can see above, after ‘should’ we use an infinitive without ‘to’. You ought to do more exercise. You ought not to drink so much beer. Unlike ‘should’, we always use ‘to’ in ‘ought to’ for giving advice. To make advice less direct, we can use a question to make the person we are advising consider about the advice we are giving them. Why don’t you do some more exercise? How about doing some more exercise? With the question ‘Why don’t you…?’ we use an infinitive without ‘to’. When we use ‘How about…?’ to make a question, we use a gerund after it. If someone is asking for your advice, sometimes it’s useful to imagine yourself being in that person’s position. This is a good way to explain your advice, too. If I were you, I would do more exercise. Remember to use an infinitive after ‘would’ and not ‘to’. To make this negative, put ‘not’ after ‘would’. 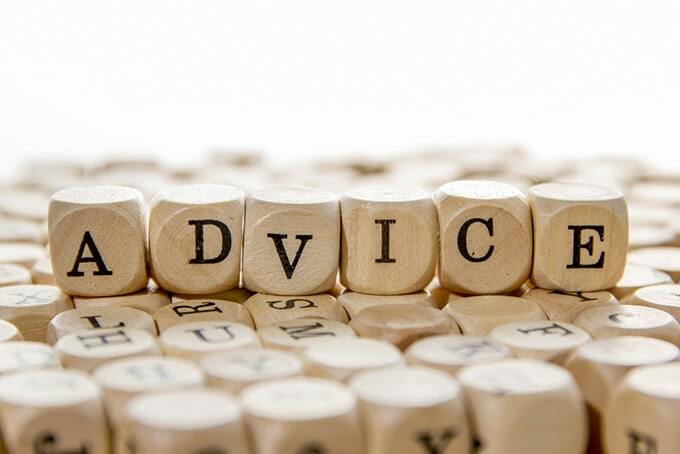 A suggestion or recommendation is another good way of giving advice that isn’t to direct. You can use the words ‘suggest’ or ‘recommend’ as in the example below. I would suggest doing more exercise. I would recommend doing more exercise. Use ‘verb+ing’ after ‘suggest’ or ‘recommend’ to explain your advice to the listener. To make these negative, put ‘not’ before your ‘verb+ing’. Sometimes, you need to make your advice stronger to let the listener know that it’s really important. We can use the expression ‘you had better…’ to do this. You had better do more exercise before you start getting fat. You had better not drink so much beer or you will get fat. We use an infinitive after ‘better’ to explain our advice and add ‘not’ after ‘better’ to make the sentence negative. So, now you know how to give advice in English. Next time one of your friends is having some trouble, give them some advice in English and try out your new skills.